Tuesday: Undecided... got an idea for me?! Wednesday: Tandoori Chicken or Rotisserie Style Chicken and mashed potatoes, brown sugar carrots. Love the idea of buffalo chicken on your home made pizza!!! 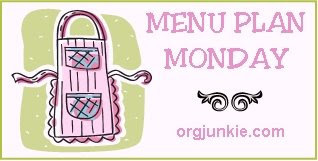 You have some terrific meals planned for this week.